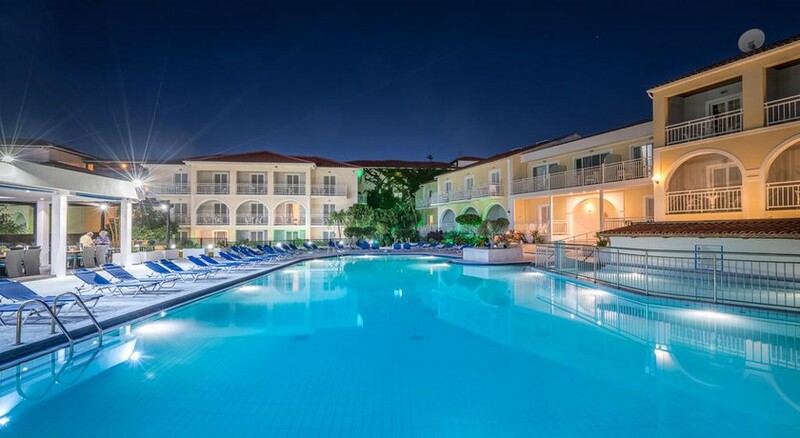 The Diana Palace Hotel is a luxury family-friendly hotel located in Argassi, Zante in Greece. The nearest beach is 500m away from the hotel. The luxury hotel houses a large swimming pool on its grounds, lined by loungers and sunbeds. The hotel complex houses 120 guestrooms have been tastefully decorated with contemporary, modern and chic architecture and equipped with every luxury required for a pleasant holiday. The towns of Argassi and Zante are closely located, which allows guests an ease to indulge in local cuisine, sightseeing and shopping. 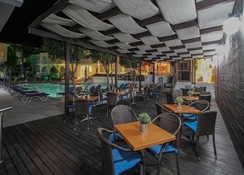 The hotel houses multiple restaurants and bars on its premises that serve a wide range of delicacies from local Greek and international cuisines all-day. The Diana Palace Hotel is located 6.4km away from the Zakynthos International Airport and Kefalonia Airport is 1263m away. The nearest beach is 500m away from the hotel. The town of Agrassi is 300m away, Laganas is located 10.5km away from the property. Zante city is located 4.9km away from the hotel. Popular tourist attractions and local landmarks like Argassi Beach, Archelon, Zakynthos' Karnival, Port of Zakynthos, Agios Dionysios Church, Dionisios Solomos Square, Byzantine Museum, Dimokratias Square, Dionysios Solomos Museum, Caretta's Fun Park Centre, Pure Beach Club, Laganas Beach, Tsilivi Beach and Gerakas Beach are located within a distance range of 7km. The Diana Palace Hotel has 120 guestrooms that have been tastefully decorated with contemporary architecture and feature chic and stylish décor. The rooms are equipped with every luxury required for a pleasant holiday. The rooms are further divided into 5 types based on space, amenities and number of guests. 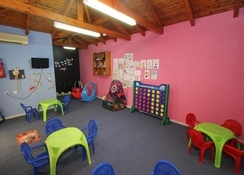 Standard Twin Room, Superior Twin Room, Large Twin room, Family Room and Single Room are the types of rooms on offer. 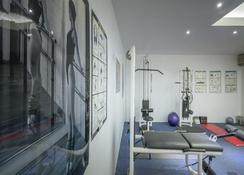 The rooms are equipped with facilities and amenities like bathroom with bath tub, private balcony or private terrace, refrigerator, closet, direct dial telephone, air conditioning unit, electronic locks, hairdryer, safe deposit box, television free Wi-Fi access, bed linen, bath linen, essential toiletries. The Diana Palace Hotel houses, in terms of food and drinks, houses bar, restaurant and snack bar on its grounds. The restaurants serve breakfast, lunch and dinner in buffet style. The guests can also enjoy light meal and snacks at the snack bar. 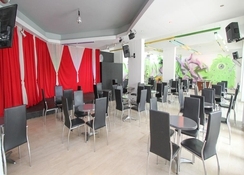 The bar is known to serve local wines, beers, cocktails, alcoholic beverages and non-alcoholic drinks. The guests can also visit to the town of Argassi, Laganas and Zante and try out local restaurants. The nearest beach, which is just 500m away, is lined with bars and traditional taverns. The hotel houses a large swimming pool, for adults and children, and that serves as a great option for guests to indulge in recreational activities like mild pool games and refreshing dips. The guests can enjoy reading at the library, darting, karaoke, table tennis, billiards, etc. The guests can also enjoy the entertainment shows organised by the hotel’s in-house entertainment staff. The beach also has a lot of water sport centers. One can also spend some quality time sunbathing at the beach. Had a fantastic stay at Diana palace hotel in October 17. Great hotel, amazing food and staff. Animation staff were brilliant. 10 mins from airport. Would have stayed forever ! Beautiful hotel with super-friendly staff. Lovely pools, clean rooms, and food was delicious - variety of different options. Highly Recommended. If I would have a chance, I would definitely go again! Great all inclusive break. We have given 4 stars as they claimed to have beauty/massage therapy but this was at a sister hotel miles away!! Felt that was Miis advertised although there was a pay for massage chair like at the airports??? Perhaps that was what they meant!! Staff were helpful. My daughter has coeliac disease and at every meal the chef went through what she could have and they ordered in gf bread. It was a great venue. Bingo was fun and the pool was lovely although the sun beds were always taken. The hotel was lovely, extremely beautiful. The entertainment was amazing, they tried there best to always keep you happy. I thoroughly enjoyed the food also.